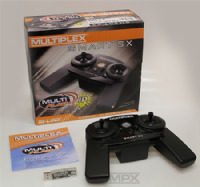 MULTIPLEX MULTIcont MSB Expert Speed Controls. M-LINK telemetry enabled. The MULTIcont MSB EXPERT series of speed controllers. 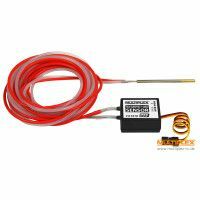 These combine an efficient electronic speed control with the world class MULTIPLEX M-LINK telemetry system featuring an array of sensors built into the unit. In this era of brushless motors and Lithium batteries, the speed controller is the central element in the whole power train, and its significance is constantly growing. Because this central component determines many aspects of the power system’s performance (motor speed, current, etc. ), it directly generates vital data which can contribute substantially to the pilot’s information, once processed and bound into a telemetry system. This crucial data is available directly from the controller, without additional external sensors. All this is implemented in the new MULTIcont MSB EXPERT series of speed controllers. Values for motor speed, current, controller temperature, voltage and residual flight battery charge can be fed directly into the MSB, and displayed via M-LINK on the transmitter screen. In future you will be able to monitor all the relevant parameters of your power system without having to resort to external sensors - whether your model is a fixed-wing aircraft or a helicopter. Naturally it is also possible to define warning thresholds for critical parameters, so that on-screen warnings can be displayed when danger looms. Controller temperature and maximum current, which are specific to the hardware of each controller, are set up as Standard. • Variable S-BEC voltage (5, 6, 7, 8 Volt), defined by jumper. Allows the receiver output voltage to be matched accurately to the servos in use. • Option to connect safety switch harness (# 85195 / # 8 5196) (MULTIcont MSB Expert 60) Motor can be armed separately when flight battery is connected – prevents the motor starting up accidentally during pre-flight preparations. A great safety advantage! • Integral anti-flash function (no sparking when the flight battery is plugged in -> longer battery life and prevention of contact erosion, eliminating gradual rise in transfer resistance).